Cybernetic-Computer synergy at the heart of digital technology: taking advantage of interdisciplinary research activities at the interfaces with mechanics, digital creation and modelling of living organisms, it is expected that fusion will bring real synergy and dynamics to the renewal of teams. 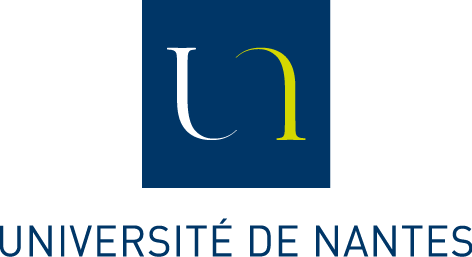 The objective is to boost the Nantes forces, which have come together to provide a framework for large-scale scientific reflection. The environment of each laboratory is rich (the Jules Verne and bcom IRTs, the CominLabs labex, the Robotex teams to mention only the objects of the future investment program). The critical mass effect: our research environment is structured in coarse grain within the University of Brittany-Loire (UBL). In this environment, the future laboratory must become a must, alongside its large neighbours (IRISA, Lab-STICC and IETR). A model of UMR uniting the research forces: the situation in Nantes was particular with the activity of the IRCCyN and the LINA shared by several institutions (including two schools: IMT-Atlantique and Centrale Nantes) and which is developing on several large (from 20 to 70 permanent positions) and distributed geographical sites (the most distant sites are about ten kilometres from each other). The question of the visibility of the establishments and the management of the teams within the whole deserved to be worked on and improved by proposing a governance and management model adapted to multi-site and multi-tutelles. Seize the opportunity offered by the calendar: the idea of bringing together Nantes forces in the fields of cybernetics and information technology is old, but has always been rejected for reasons of complexity. The development of the new five-year contract 2017-2021 was an opportunity not to be missed to bring our community together in a sustainable way and project its development to the highest possible level.